You've probably heard of MegaBots, Inc. We're the guys who most famously challenged Japan to a giant robot fight, spent 2 years building a 15-ton 430 horsepower two-seater battlemech, and then fought in Japan. When I started MegaBots I admittedly just wanted to have a cool job and build cool things. It was the typical engineer's dream. After 4 years of pouring my heart and soul into this company, I've realized that what we've created was something much much bigger. It turns out that an entire generation of people dreamed of something like this happening, and now that we're by far the closest anyone has gotten to making this a real thing, the world is counting on us. I am so grateful for the attention an interest everyone has given us, but it's also a huge weight on my shoulders. My goal with MegaBots has transformed from "Build cool stuff and have a good time" to "Deliver the dreams that our childhoods' promised us while inspiring the next generation of creators and engineers"
Patreon is a way I can bring you all with me on this incredible journey I have been so fortunate to be a part of. I create weekly videos showing people what's happening behind the scenes that are available to everyone, but patrons will get exclusive access to our special event live streams, discount codes, and more. - Access to the "PATRONS" channel on the MegaBots Discord server. Where the MegaBots employees hang out. Please note that technical support questions will not be answered here. Everything you need to join the cool kids club. - Your very own "PATRON" flair in the /r/megabots subreddit! If you're actively using the MegaBots' design files, you'll probably want some technical support from MegaBots staff. - Access to the "Tech Support" on the MegaBots Discord server. Where your questions about the robot's design will be answered by a MegaBots employee in real-time. - Access to the "PATRONS" channel on the MegaBots Discord server. Where the MegaBots employees hang out. 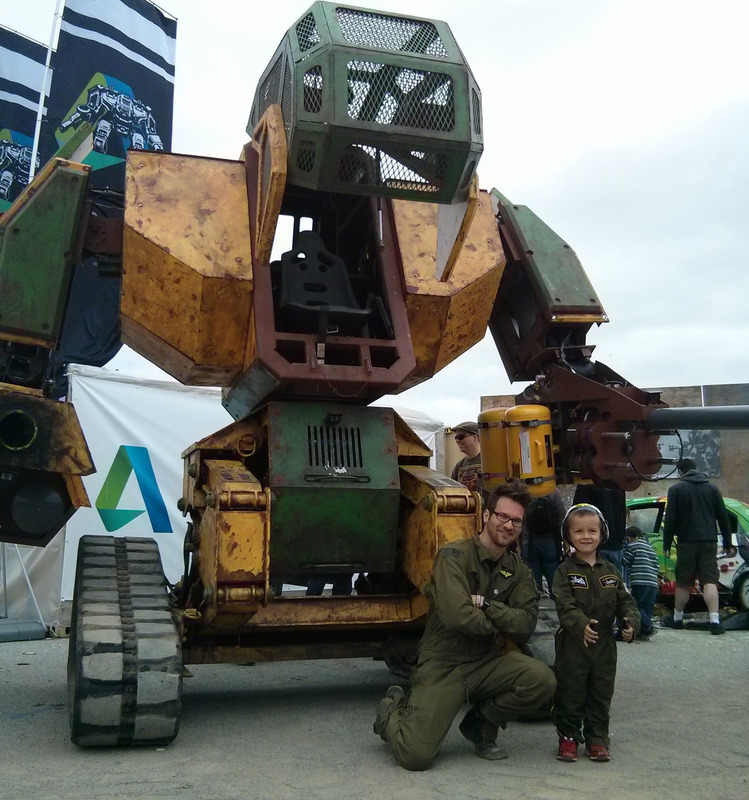 Recent posts by MegaBots, Inc.